OSWEGO, NY – A special Memorial Day commemorative program will be held at the Fort Ontario Post Cemetery at 1:30 p.m. on May 28. Wreath laying ceremonies will be conducted by the Daughters of the American Revolution, U.S. Daughters of 1812, Daughters of Union Veterans of the Civil War, and the Friends of Fort Ontario. A tour of the May 5-6, 1814 battlefield will be conducted by Fort Ontario Superintendent Paul Lear following the program. 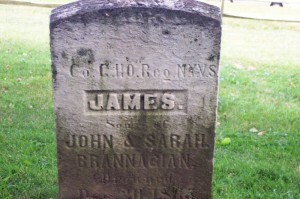 Pictured is the gravestone of James Brannigan in the Post Cemetery at Fort Ontario. 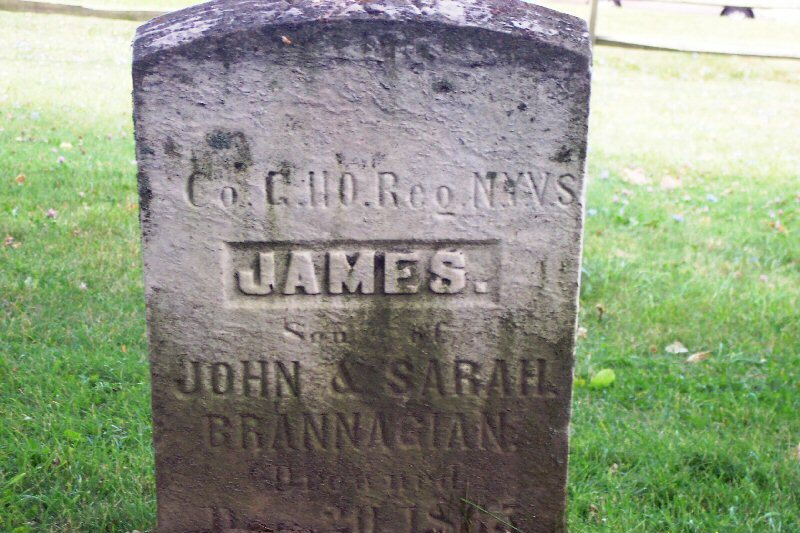 Brannigan was a Union Army soldier who drowned in the Oswego River in 1865. All Memorial Day activities at the Post Cemetery are free and open to the public. Old Fort Ontario will be open to the public on Memorial Day and regular admission will be charged; children 12 years and under are admitted free. The Fort Ontario Post Cemetery contains the graves of 77 men, women, and children who fought or served at Fort Ontario from 1759 to 1943. Veterans of the French and Indian War, Revolutionary War, War of 1812, Black Hawk War, Seminole War, Mexican War, Civil War, Indian Wars, Philippine Insurrection, World War I, and World War II are interred at the fort’s historic cemetery. A 48-star United States flag, representing the flag that was used at the time of the last burial in the cemetery, and the colors of Great Britain at the time of the first documented burial, will fly over the Post Cemetery on Memorial Day. Fort Ontario State Historic Site is located at the north end of East Fourth Street in the City of Oswego, and the Post Cemetery is situated at the northeast end of the park towards Lake Ontario. For more information on the program or Fort Ontario contact Lear at (315) 343-4711. 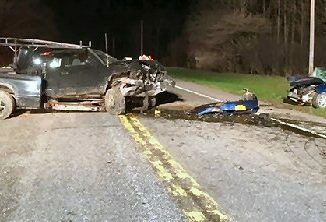 For accommodations and visitor information, go to www.visitoswegocounty.com or call 800-248-4FUN.